When Nico Sereba and Vincent ´Vinz´ Dery created a new sound by successfully fusing various genres such as pop, reggae, hip hop, dance, rock and soul, they would become an international music sensation. The duo, who honors their heritage of being both Norwegian and African collectively, utilized their visions and goals that eventually led them to travel around the world and share their artistry with millions of fans and listeners. With their skillful singing and songwriting ability they have created some of the most heart-felt inspiring music that is filled with life, love and identity, and nonetheless sharing stories in their music that have a positive message. 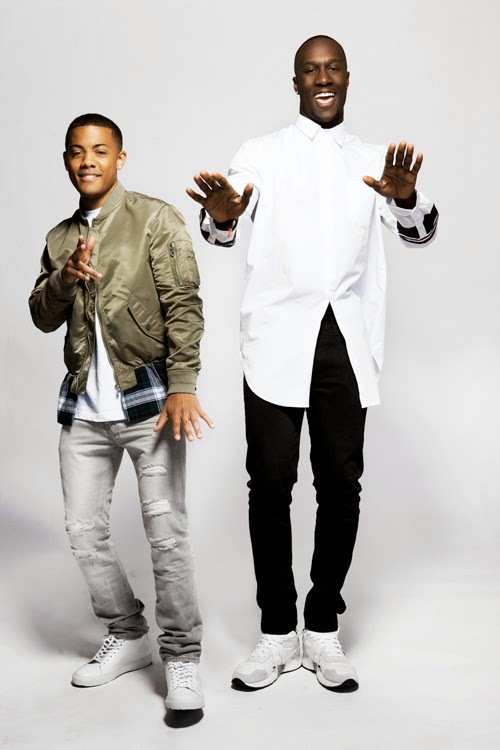 To date, the duo continues to promote their album Black Star Elephant, prior releasing hit songs from the album that sky-rocketed the charts such as “Am I Wrong” and “In Your Arms.” I was privileged to have interviewed Nico and Vinz who has such great energy. 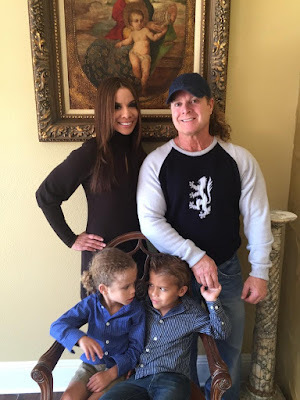 Here is what this magnificent duo had to share during a recent interview with Consciousness Magazine. 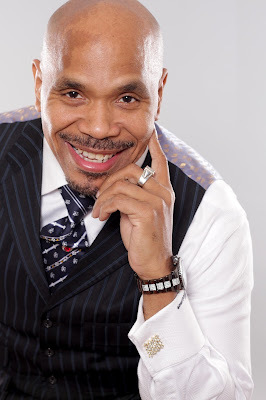 Aaron Robinson: When you guys began your music quest did you ever foresee yourself having this much success in your music career? Nico: It has always been our dream you know. You always believe that it is possible. To see this happen now, we are appreciative in what we’ve achieved. We still want to go way way further than this. We always believe in it. We did believe that it was possible. 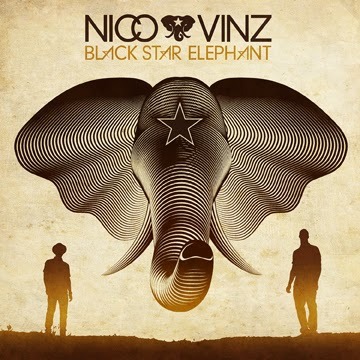 Aaron: Nico and Vinz, you currently released the album “Black Star Elephant.” How has that been going for you all, regarding feedback from your listeners and fans? Vinz: It’s really about when people hear our music and especially our fans. To see and hear that from our fans and approaching them, they’ll say [that our music has helped] solved their problem. The songs on Black Star Elephant, it’s really like a story going on. We really got a chance to touch people through our music; [it’s] like my story is like yours…you know. We really just want to push forward and reach as many people as possible with our music. Aaron: You guys put out such good positive music. What do you believe is your overall mission as artist? Nico: When we write we want to touch our listeners in a positive way and have a positive impact on people. [This is] our main motivation besides the fact that we just love to make music. When we touch somebody we feel like we mean something to somebody. It gives us an extra boost; it motivates us and it feels greater than any award or any check that you can write out to us. Aaron: How do you stay positive and humble and get your message out without confirming to the norms of the music industry? Vinz: I think our friends and fans know that it’s us, you know…in our music and also our life. The personality of how we’re made, it always has been in our interest to try to stick to what we are and what we stand for and never sort of flow away from that. Positivity and to be humble is just the way we were raised. And that’s the way we are to the world. Nico: Also, like I said earlier of what motives us, it isn’t having just the money or having a million girls or all that. It’s just about releasing a positive message. That’s rewarding to us, so it’s easy to do that and to stay that way because it’s just rewarding. Aaron: In some of your interviews you mention about the importance of setting goals and having a vision. Concerning setting goals, what words of advice would you share with up and coming artist looking to be successful in the music industry? Nico: Be unique by being yourself. If you manage to stay true to what you are, you will be special because there is nobody out there like you. That really works for us being that we have African roots, we put that African rhythm into the music. We put that urban touch as well as pop culture. You have to make sure there is only one of you as an artist. Get inspiration from people as much as possible, but don’t try to copy other people. Aaron: Do you guys participate in any community events, organizations, charities and so forth? Nico: We have helped with “My Melody”, a song giving voice to those living with HIV/AIDS worldwide. Vinz: We worked with AIDS Healthcare Foundation and HIV organizations, because it’s helping with the cause. Aaron: Can we expect more projects from you guys in the future? Nico: Yeah, of course! Right now we’re focused on promoting our album Black Star Elephant. We’ve been in the studio recording material with other artist and also have been recording songs for ourselves. Definitely, there’s going to be other music coming. We’re going to try to release some singles. You will definitely hear some more music from Vinz and me in the future. Aaron: What does the word consciousness mean to you? Nico: The first thing that comes to mind when you say consciousness is knowing who you are and being true to who you are, obviously. And [it means] following your own goals, your own dreams and your own happiness. Aaron: Before we close the interview, would you like to add anything in closing? Nico: We want people to really take the time and listen to the album Black Star Elephant. It’s written from realness and comes from a real place which we capture in the album. It has the stories and the background of where we come from. Hopefully people will enjoy it. Aaron: Nico and Vinz I really appreciate you guys taking out the time for me to interview you. Nico: It’s no problem, have a good one man!